Which Discount Program is Right for You? Whether you are just graduating from college or looking to purchase a vehicle for the first time, Baxter Volkswagen Omaha offers discounts and incentives to please several types of drivers through Volkswagen discount programs. It’s just one more way we help create affordable options for every member of the VW family. Learn more about special Volkswagen discount programs, and contact us to find out if you qualify for additional savings. At Baxter Volkswagen, we understand you’ve spent the last few years focusing on studies, rather than building your credit. That’s why Volkswagen Credit is dedicated to helping recent and future graduates purchase or lease new and pre-owned Volkswagen vehicles, even students with no credit. You won’t find many dealership credit programs that don’t require a credit history check, which can really benefit you as a college student. Whether you’re wanting a new or used Volkswagen, no credit history is required, and no cosigner is needed. At Baxter Volkswagen Omaha, we know you’ve earned this, and deserve to arrive into your future career in style. Visit us at Baxter Volkswagen Omaha and experience the fun side of car buying. We guarantee we’ll set a great expectation for your first car-buying experience. Volkswagen is a global company that understands the need of international students. So, whether you’ve come to the Omaha area to study at Creighton University, University Nebraska at Omaha, Nebraska Medical Center, or any of the other great universities and colleges in Omaha and the surrounding areas, we’re inspired by you. And that’s why at Baxter Volkswagen Omaha, we’re excited to help you establish yourself and your life abroad. You’ve made it this far. Let Baxter Volkswagen Omaha take you even further—sight-seeing on the weekends, road trips on breaks to some of the Omaha area’s most famous destinations, or just enjoying the city the from an entirely new angle. With approval, we can get you behind the wheel of a new or used Jetta or Golf so you can begin you Volkswagen education as soon as possible. Congratulations, you’ve been hired or transferred to a work in the United States! As excited as you are about your new endeavor, it can be unnerving moving to a new country. At Baxter Volkswagen Omaha, we’ll take away any additional stress when it comes to purchasing your new car in the United States. We’ll help position your financing or leasing contract to get you into a new Volkswagen vehicle with little stress. We’ve helped hundreds of foreign professionals buy or lease their new vehicle efficiently and at a great price. Ask us at Baxter Volkswagen Omaha for details and additional requirements for the great Foreign Business Professionals Program. Contract length is limited to your length of stay as governed by the applicant’s visa or employment contract. Baxter Volkswagen Omaha is a family-owned, locally-operated business and we value opportunities to give back to our neighbors. We are passionate about creating a caring community and that is why we partner with local businesses and organizations throughout the Omaha area to offer local business vehicle discounts they deserve. It is our honor to participate in Volkswagen Corporate Transactions program. Eligible businesses can purchase or lease vehicles through Volkswagen Credit and are offered special purchasing packages, including retail financing, driver’s option, and lease capabilities for qualifying. 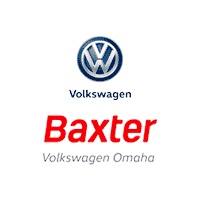 Contact us at Baxter Volkswagen Omaha for complete details or to see if your business or organization qualifies for the Volkswagen Corporate Transaction program. The Volkswagen German Diplomatic Program makes it easier than ever for the Diplomatic and Foreign Service Communities to purchase new cars. At Baxter Volkswagen Omaha, we provide a personalized purchase experience that is convenient and hassle-free, because at Baxter, we believe in secure and honest car buying. Our team of sales advisors and financing experts are focused on addressing each of your needs with the utmost dignity, care and attention to detail when it comes to purchasing or leasing your new VW vehicle. Contact us at Baxter Volkswagen to see if you’re eligible for the German Diplomat Program and take advantage of our privileged diplomatic benefits and savings.